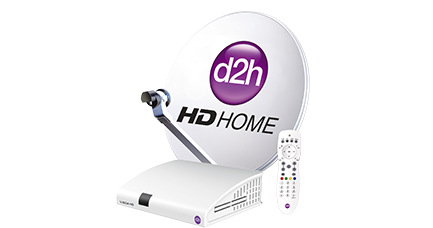 Mumbai, 25th June 2015: d2h, India's fastest growing DTH service, has unveiled a new initiative aimed at preschool and elementary school aged children. The company has launched SMART Services, a value-added bouquet of learning activities and games available exclusively to d2h subscribers. This banner includes Smart Learning, Smart Kids and Smart Games, all available on subscription basis. Smart Learning, targeting school aged children under 14, will broadcast science videos and interactive ways to learn English. Smart Kids will cater to toddlers and kindergarten kids with nursery rhymes and stories. Each of d2h's SMART Services will be offered at a subscription rate of INR. 45 per month. In addition, one more value-added service is expected to launch soon for school going children. Called Smart Education, it will also feature the educational curriculum ofvarious boards. We strive to provide the best of education based entertainment to our subscribers, especially our young audience,"" said Mr. Saurabh Dhoot, Executive Chairman, d2h. ""Keeping this in mind, we have launched the SMART Services bouquet, our learning based entertainment content. The content is specially designed and handpicked to provide the best of learning to across all ages."" Mr Anil Khera, CEO, d2h, ""d2h is launching its SMART Services offering to capture the imaginations of kids while helping them learn. The rich content is designed to help change the TV viewing of children to a learning viewing that brings joy and fun to children through stories and easy-to-comprehend videos."" 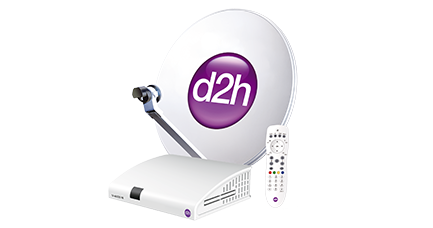 d2h has achieved many firsts in the Indian DTH industry, such as being first to launch the 4K Ultra HD Channel, 1000 GB High Definition Digital Video Recorder, Radio Frequency Remote for DTH, Wireless DTH Headphones and 500 channels & services. Note to Editors: About d2h d2h is India's fastest growing DTH service provider which offers over 500 channels & services. 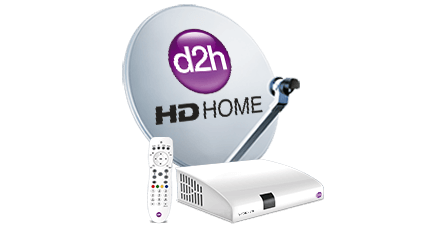 d2h also offers 35 ""HD"" channels. It launched India's first 4K Ultra HD DTH channel. d2h offers India's first 1000 GB High Definition Digital Video Recorder and is the first DTH service provider to offer Radio Frequency Remote Control (available with High Definition Digital Set Top Box with unlimited recording). Powered by the MPEG-4 and DVB-S2 technology, d2h offers services such as 12 PIP Mosaic, d2h Cinema, weather updates and multiple tickers to transform your TV into a hub of entertainment and knowledge. It offers High Definition channels in 1080p, HDD Sound and 16:9 aspect ratio. Apart from these, it also offers the Active Music service, which includes 41 Audio / Video active music channels, 24-hrs a day. In addition, d2h provides round-the-clock prompt and efficient customer support in nine regional languages in addition to English and Hindi from the dedicated 8 Customer care centres present in seven locations.